After weeks of extensive testing, we are proud to finally introduce our upcoming patch 2.0 for 100% Orange Juice. In many ways, as befits the version number, this build finally encompasses our vision of how we always wanted 100% Orange Juice to be. – Added a new boss character, Big Poppo. Big Poppo has a 10x Player Level chance of appearing for non-Poppo players in place of another boss when encountering one on any map. Any stars lost to Big Poppo will be distributed between Poppo players in the game. – Added a new map: Poppo Paradise. On Poppo Paradise, all CPU characters will be Poppos. Poppo Paradise replaces all previous starting maps. – Added a new field effect: Poppogeddon. 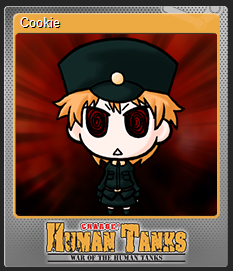 Every 6 turns, all non-Poppo players are assaulted by Big Poppo. Poppogeddon has a 50% chance to steal another field event’s place when not chosen for the map. – Added a new panel: P-panel. If a Poppo lands on P-panel, they will cast Ubiquitous on all non-Poppo players in turn (they do not need to carry Ubiquitous). If a non-Poppo player lands on P-panel, all Poppos in the game cast Ubiquitous on them. – Using Ubiquitous on Kai now steals their player’s credit card info, instead of their wallet as previously. Barring any technical difficulties, version 2.0 ~The Poppoing~ will roll out on Steam very shortly. We are very excited to see the reception. QP Shooting – Dangerous!! Is now available on Steam, with a -10% launch discount for a week! Join QP on her quest for pudding and meet old friends and new enemies! Will you be the one to bring pudding back to the world? We are happy to announce that a very special, fan-requested bonus is coming for QP Shooting – Dangerous!!. All owners of upcoming shoot’em’up QP Shooting – Dangerous!! 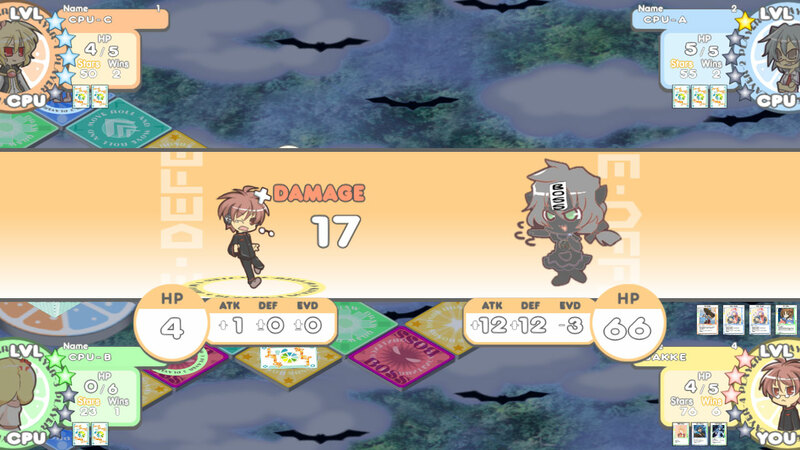 will unlock a free bonus character in 100% Orange Juice on Steam. QP (Dangerous version) is an original character designed by Orange_Juice, with art by Hono. She’s a re-imagining of QP as she appears in her signature game QP Shooting – Dangerous! !, with new abilities and a hyper card. Can anyone resist her energetic cuteness? As we are excited to make another great game by Orange_Juice available to gamers worldwide, we felt this was a great opportunity to connect the games of the popular franchise more closely. The new character is prepared in cooperation with Orange_Juice, exclusively for the game’s Steam release. 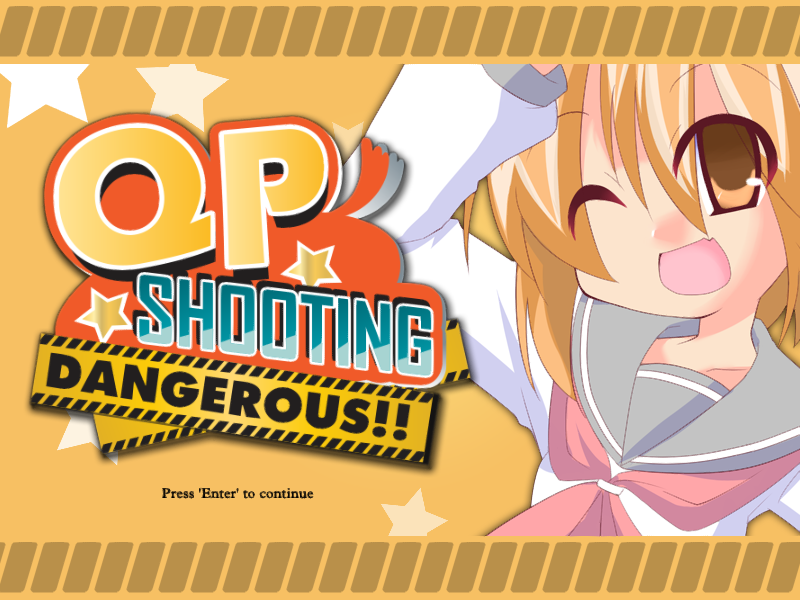 QP (Dangerous) will be available for play in 100% Orange Juice immediately upon activating QP Shooting – Dangerous!! on Steam. She does not replace QP, but adds a separate playable character. QP Shooting – Dangerous!! is set for November 14 release, and preorders are now open at the Fruitbat Factory homepage. Requires 100% Orange Juice base game to play. Again, happy news (well, not really super news at this point, if you’ve been keeping up). Yakiniku Banzai’s awesome Strategy/advanture game ‘War of the Human Tanks’, our first release has finally been greenlit! It already made it to rank #27 before the entire top 100 of Greenlight games was let in, which just goes to say… Human Tanks are awesome, or something. We’ve been hard at work on the game’s Steam release since the news came to us, and are hoping to be able to publish the game sometime soon. The glorious, Human Tank themed (surprise?) steam trading cards are already ready and raring to go, but we’re having some unanticipated difficulty with implementing our planned achievements to the game. The base issue is that the engine doesn’t support using non-C code, which creates problems when trying to handle Steam’s class-using callbacks… if that says anything to anyone. If you have any ideas, let us know. We’ll keep on trying different things for a while longer, in any case. On the other hand, our third release, 100% Orange Juice, the goal-oriented board game played by Orange Juice’s all-star cast is currently 86% of the way to the top 100 of Greenlight. We are hoping to see it greenlit soon. Peace out… and let the war begin!